Do you ever wonder how military forces eat meals when they are on the border or on far-off postings? Some of you might have heard of ready-to-eat meals that are liquid or wet in nature and available in small packets. They are also packaged in tins and small cans. Basically, the food needs to be stored in packages that are easy to carry and are compact. After all, you can’t expect army members to carry a huge bulk of food wherever they go, can you? However, the question still remains, how do these packets, which contain wet food, get converted to edible food? You might be surprised that these packets of food have all kinds of items in them, ranging from entrée to main courses like rice as well as dessert! To convert them into food, you require the flameless ration heater. A flameless ration heater is a tool that is used to convert ready-made food into proper meals. While the packets only contain wet items, when you heat them up, they transform into proper and satiating meals. A flameless ration heater is self-contained in nature. You need to pour water into the heater to activate its exothermic properties, which then help heat up the food and make it edible. This is because the ready-to-eat meals usually require the food to be heated to a certain degree. For instance, a 226.8-gram packet containing an entrée might need to be heated to a temperature of 56 degree Celsius. This can easily be achieved by a flameless ration heater in less than 12 minutes. As the name suggests, this occurs without the need for fire. The heating mechanism of the FRH is enough to deliver heated ready-to-eat meals. The mechanics of a flameless ration heater are not hard to understand. You might think that the only way of cooking food is by lighting a fire. This product proves otherwise and uses heat to do the task. 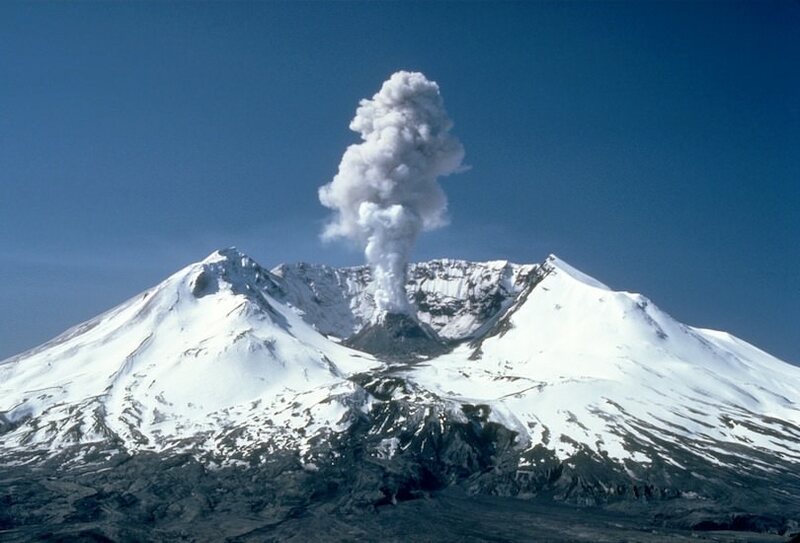 How this heat is generated by mere water is the main question posed by observers. The heater makes use of the electron-transfer process to generate the required heat. This process is also called an oxidation-reduction reaction. This heater uses a fine powder of magnesium, which is mixed with iron and table salt. When you add water to the heater, magnesium reacts with the water and the water starts to heat up to the boiling point. Since this mechanism is occurring close to the food, the food is heated up in the process. Did you know that water can be used to oxidize magnesium metal? The effect magnesium has on water is similar to the reaction caused when iron metal is exposed to oxygen. The latter process is well known as rusting and is a type of oxidation procedure as well. The reaction between the magnesium metal and water is quite slow and does not produce enough heat to make any difference. This is why a flameless ration heater makes use of table salt and magnesium in powdered form. When finely powdered magnesium is mixed with table salt, the oxidation-reduction process is greatly enhanced. The salt water acts as an electrolyte for the iron and magnesium elements. It allows them to transform into a galvanic cell. Hence, each iron and magnesium particle start acting like small batteries. This means that at any time, there are thousands of such batteries in the flameless ration heater. The short circuit formed by these batteries are burned out quickly, which generates heat. Why Bother with a Flameless Ration Heater? The flameless ration heater continues to be one of the most used tools by the military to heat up food. There are even various commoners who make use of the product. Why would they do so? Here are a few benefits of using a flameless ration heater and ready-to-eat meals that come with it. If you hate cooking and consider yourself to be a lazy soul, you can make use of this heater to soothe your hunger without making much effort whatsoever. All you need to do is pour water, and your job is done! Additionally, the product doesn’t really demand much. It is very easy to use and only needs a few tablespoons of water. This means that the process is not only quick but also very convenient and budget-friendly. Are you sending your children on a camping trip? While food is generally taken care of, you can provide your kids with the ultimate experience through MREs and a flameless ration heater. It isn’t uncommon for campers to cook their food on open fire, but you will agree that is quite a dangerous way to satiate your hunger in the wilderness. Also, some places don’t allow you to light an open fire. This is where a flameless ration heater will come in handy. Since it doesn’t produce any flames, it ensures the safety of your child. You should always be ready for the worst-case scenarios. A natural disaster can occur anywhere and anytime. Equipping yourself with MREs with flameless ration heaters can ensure you have enough food to survive before rescue missions can help you out. Similarly, if prolonged outages of power occur, rendering you incapable of using your electric stove, this can be an excellent backup plan. Have you ever had your vehicle break down in the most inconvenient of places? Being stranded on deserted roads or getting blocked in due to harsh weather is the worst nightmare for many. Keeping an FRH and MRE along with a bottle of water can save you from hunger and starvation in such cases. Hence, you might want to equip yourself with it for the bad days. The process of using a flameless ration heater is quite easy. 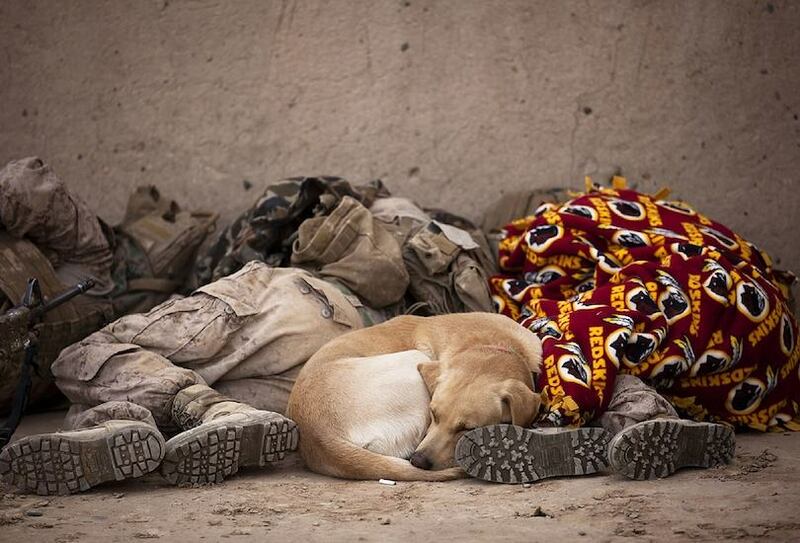 This is what makes the idea so popular among military folks and commoners alike. Here are the steps you should follow when using a flameless ration heater. The heating bag will be sealed on the top. Tear this part off. Put your MRE food or container in the bag. You will be provided with instructions which will tell you how much water to pour into the bag. Generally, a few tablespoons of water are enough to do the trick. Basically, you have to pour water until you reach the marked waterline on the bag. Allow for the chemicals in the bag to dissolve. To do so, hold the bag for a while with the top open. Once the chemicals have dissolved or a few minutes have passed, fold the top part to close the bag. You must make sure that the bag stands upright in a slightly inclined position. Hence, use a sturdy material to give support to the product. Let it be for 15 minutes. After that time has elapsed, open the bag. You will find that your food is hot and can be served. Just because there are no flames involved doesn’t mean you should handle the flameless ration heater and the food that comes out of it very lightly. You never know how hot the bag and food can be. Therefore, exercise caution when removing the food from the bag. It is also common for premature reactions to occur when the product is stored. This is why you must ensure that you store the flameless ration heater in a place that is devoid of nails or any sharp items. This makes sure that the bag does not puncture. Additionally, since the flameless ration heater works with water, you must keep it away from water and moisture to avoid premature reactions. If there is a lot of humidity in the air, there is a chance that the bag is coated with a magnesium hydroxide layer. This compound is not soluble and can hamper the flameless ration heater’s ability to generate heat when the time comes. You will find a few companies delivering flameless ration heaters and MREs. Don’t choose any one without thinking. Research about the company and learn whether the product works well or not. This is because every heater may not necessarily succeed in transforming food as per the requirement. Just like in any purchase, the quality of the flameless ration heater you invest in matters. If you are a camper, a hiker or an individual who likes having a backup plan, make sure you get yourself a flameless ration heater. However, don’t expect the food to be as good as the one you make on the stove. That doesn’t mean it won’t be tasty. Some MREs are really good. It all depends on what your taste buds like. Try them to find out. Use a flameless ration heater to heat them first, though. The term MRE is quite common in the army. MRE stands for ‘meal, ready-to-eat.’ As the term suggests, an MRE is a complete meal consisting of a main course, side dish and beverage. These meals are prepared keeping in consideration the nutritional benefits it should provide to a service member while tasting good. MREs are the most convenient way of carrying food along on a mission. Given the rough and adverse military conditions, being able to carry conventional food is quite tricky. With service members always on the go and constantly located in remote and distant areas, the need to have portable food is extremely important. The concept of MREs has been taken from World War II. The original version of an MRE was initially developed when the troops had to be fed canned foods. The canned ration was not only heavy, but it also had a shorter shelf life. Carrying the food was a problem as making long treks and going back and forth toward the ration vehicle was time-consuming, and the weight decreased the soldier’s performance. Also, with canned food, the options available to soldiers were limited. More often than not, servicemembers would leave the food half-finished, thus reducing nutritional effectiveness. Then came MREs, which were designed to be light while standing the test of time. This was mainly thanks to the bag they came in. The MRE bag is also known as a trilaminate retort pouch. It is made by joining aluminum and plastic layers. It preserves food almost the same way as cans. The food which is kept inside the bag is first cooked at high temperature, ensuring that all bacteria is killed, and placed in the pouch to be sealed. After the pouch is sealed, it is heated so that the food can be sterilized. The seal ensures that the food stays fresh for a long time. This process is not any different from the tradition metal canning. The food present in those cans is first sterilized in heat containers which are sealed so that bacteria and air cannot enter. The taste of an MRE is similar to canned foods, but the distinctive factor is the longevity. MREs are designed mainly for military purposes, so they can withstand extreme conditions and wreckage. Almost everyone prefers a hot meal, but given the many missions a servicemember must undergo, having a hot meal seems like a distant dream. Therefore, after undergoing extensive research, MREs have been fitted with a way to heat up the meal. They introduced the flameless ration heater (FRH). The whole meal can be heated using this heater. The FRH is a type of chemical heating and a widely used idea. The process is quite like iron rusting which uses the atoms present in the iron and combines it with the oxygen atoms to produce iron oxide. It is a slow process, but when iron is exposed to water, rusting happens faster. FRH more or less uses the same process to generate heat. Made of magnesium dust amalgamated with salt and a minimal amount of iron, it is flexible and compact to carry, which is important given the many miles soldiers cover on foot. The shelf life of an MRE has always been among the priorities for the army. The ration was tested many times, and research was done on how to keep the food edible for a long time, given the aggressive conditions the troops face. MRE pouches were created using strict standards which were different from the average commercial food. The requirement was to keep food safe and able to resist all detrimental effects. Therefore, the MREs underwent many abuse tests such as obstacle transversal and parachute drops. Military members were required to do vigorous physical exercises while keeping the MRE bag in their field clothing. All such exercises were made to ensure the MRE bag stays intact and resistant to harsh changes. A parachute drop test was also planned along with keeping the MRE under extreme temperatures. After considerable experimentation and research, the MRE bag was designed. It has since then seen many changes. The army keeps devising ways to improve the bag like eliminating foil so that the weight of the bag could be further reduced. This reduction is necessary as constant running, jumping and other physical activities are a part of the army, so the weight of the MRE bag should be low. Another feature that they army keeps researching to incorporate is an airtight barrier. Even though the MRE bag does a god job of keeping moisture and air out, it cannot do so for a long time. This results in air seeping in through the spaces present, hence spoiling the food. It has been observed that refrigerating the MRE can increase its shelf life, but it’s not clear by how much. Sellers of MRE claim that it can last up to 11 years if stored at a temperate of 16 degrees C or 60 degrees F in the fridge. The MRE is full of preservatives and high fat content. The fat serves as a natural preservative which is important for all the physical activities that the troops are subjected to. Furthermore, the sodium is sweated out through running, exercising and other physical exertion. The MRE was made for convenience, though its taste is another thing to talk about. Unlike conventional food, these ready-to-eat meals are made using a lot of preservatives to ensure a long shelf life, which has a negative impact on taste. There is a direct relation between how long it is stored for and its taste. Hence, an MRE which is 3 years old will taste better than one manufactured 5 years ago. The US military checks MRE packages after 3 years to assure longevity and throws them out after 5 years from the date of manufacture. As previously discussed, the concept of an MRE came into existence when the troops were to be given food and the available option then was only canned meal. Although canned meal was fine for a few days, for a substantial amount of time, it failed to do what was needed, which was to keep the food edible for as long as possible. Hence, the MRE was introduced as the combat ration in US military around the years 1975 to 1980. In a field evaluation which lasted for 34 days, the infantry division did not eat anything except for MREs three times in a day. Even though the food was deemed acceptable by the troop, the consumption was still less as only about 60% calories were used. The calorie count and the nutritional value were very important when the meal was being decided for the troop. 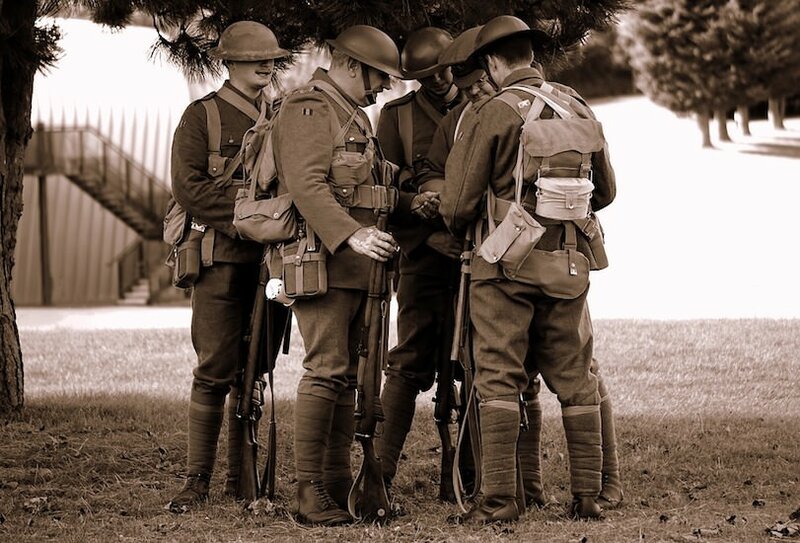 As the troops were exposed to rough and vigorous conditions, it was vital that the meal be high on nutrition while tempting for the taste buds so that the troops could satiate their hunger without compromising on taste. All these factors were paid attention to when designing the MRE. The weight of the MRE was also one of the major components. As the troops had to be on the go all the time, the bags had to be compact and easy to carry or fit into field clothing or else there would be no serious advantage of the MRE. Another test was conducted on the same division a few years later which showed increased consumption and calorie intake. Based on the result of this test, various changes were made to the content of the MRE. New entrees were introduced, and an increase in the dessert from 5 oz to 8 oz was delightfully welcomed by the troops. Commercial candies, cold beverage bases and sauces were also added to the menu. After further testing and gaining feedback from the troops, new changes were introduced to the menu. For instance, the wet pack fruit was replaced by dehydrated fruit and dried freeze coffee was replaced by instant coffee. As the meal options in the MRE underwent changes, the bag design was also changed. Initially, the MRE bag was a plain brown pouch. In 1998, large menu numbers were added to the sides of the bag. The US army has continuously been upgrading and evaluating new graphics for the bag. They initially started with 18 designs and reduced it to 9. The number was brought down to 5 after further evaluation. These designs were field tested, and the soldier’s preferences were considered to decide on the final design. Finally, the three best designs were picked, and the army decided to use all three of them on the bag. Based on the cost and the risk of plausible printing errors, the designs were changed slightly from the one originally picked. Military MREs are not available for consumption by the general public. With ongoing reforms with these operational military rations, the US Government introduced special labels for the MRE packages and containers, stating that these were the property of the US Government. Hence, commercial resale was not allowed. How to Access Military-Grade MREs? Despite these restrictions, the general public has tried to gain access to military-grade MREs for regular consumption. eBay, in violation of federal laws, has been selling these military MREs for a profit. Although there are no definite laws prohibiting the resale of MREs, they are usually just sold to military organizations. eBay has come under scrutiny by the government for selling military-grade MREs through its online portal, but unless there is some real law prohibiting this commercial resale, eBay is far from done anytime soon. If you have a relative or friend serving in the US armed forces (navy, army or air force), you might have some luck getting your hands on MREs. These active service officers have access to MREs on missions, during training and on the field during combat and assault. Another way you can access military-grade MREs is through an army surplus store. In these stores, you might have to pay more than what you’d be required to pay on eBay for MREs. A single MRE may be sold for $8, while a package may cost you up to $80. The normal price charged for a military MRE ranges from $45 to $55. This is yet another venue that keeps MRE packages available for sale. If there is a local gun show taking place near you anytime soon, you might want to use the opportunity and get yourself a reasonably priced MRE package. A few vendors at these local shows may even have individual MRE components for you to purchase and try. All these options are available if you need to try a military-grade MRE, but what if we told you there were civilian MREs manufactured for the general public? Although there had been an ongoing demand of MREs before, natural disasters in the form of tsunamis and Hurricane Katrina led to a surge in demand for packaged ready-to-eat meals. When these natural disasters hit, there was nothing but chaos all around. People lost their homes, and families were out on the streets. There was a shortage of food, and a huge population of survivors to feed. It was during these desperate times that MREs became quite useful. The pre-packaged ready-to-eat meals were provided to survivors. MREs are packaged for storage and transportation convenience. These sealable pouches are portable and come with an average lifespan of 3 years, provided that an adequate temperature level is maintained. During these emergency times, MREs were of immense help to prevent starvation throughout the country. Another conspicuous reason for the popularity of civilian MREs has been the illegal sale and purchase of these ready-to-eat meals. When people go on camping trips and on hiking trails, they usually avoid carrying too much baggage primarily because excessive weight slows them down. Plus, there isn’t enough space to store and prepare food for campers. MREs are ready-to-eat meals that can be easily carried while camping and on hiking trips without having to worry about a complete daily meal that is both nutritious and fulfilling. Following this demand for MREs, online portals such as eBay had been supplying military-grade MREs, despite restrictions on commercial resale. This led to the development of civilian MREs, which are now easily available for sale from a few popular manufacturers. Wornick had also been selling civilian MREs under one of its famous brands called Mil-Spec. It was during 2001 when the emergency food supplies were no longer required that Wornick ended the Mil-Spec brand, putting a full stop on the production and supply of civilian MREs. It was during the same time that Sopakco felt a plunge in demand and decided to let go of the M-Packed brand. After Hurricane Katrina in 2005, there was another surge in demand for civilian MREs to feed the survivors. This time around, there were three military manufacturers, namely AmeriQual, Sopakco, and Wornick, which began manufacturing civilian MREs to fulfill demand. Following this, MRE products such as Meal Kit Supply and MREStar flooded the US and Canadian markets. Since then, the production and supply of civilian MREs have been steady, and there have not been legal issues associated with them either from the government or from other legal authorities and organizations. Now that people have a choice between MREs, somehow there is a higher demand for civilian MREs. Let’s explore the differences found in both types of MREs. Military-grade MREs cannot be purchased in bulk quantities. While individual MREs are available at local gun shows and even on eBay, bulk packages are rarely ever sold through trusted vendors due to the restriction from the US Government. Even if you are lucky and end up purchasing them in bulk, it is going to cost you a hell lot of money! The army surplus stores sell military-grade MREs for a surging price of $80 per package. This is double the price you’d otherwise pay on eBay. Military MREs have been prepared to remain edible for a long time and can survive harsh temperatures and conditions. This is not true for civilian MREs. Hence, civilian MREs tend to be tastier that military MREs as they are fresh and are not manufactured to withstand high temperatures and tough conditions. Edible is not a synonym for tasty! In addition to this, military MREs may have come all the way from the Iraqi desert and may have been kept for days before you are given a chance to consume this meal. All of this does take a toll on the taste and texture of the food. Military MREs have undergone tough conditions and are, thus, available for a low price relative to what you’d be paying for a civilian MRE. Civilian MREs are sold through reliable vendors, making them fresh and of superior quality than MREs that you could buy for cheap from military personnel. Civilian MREs are manufactured for the general public and are not required to stay edible for a long period of time. Also, they do not require any temperature adjustment. Each time you purchase a civilian MRE, it will have the same quality as it was before. On the other hand, military MREs differ in taste as well as quality, as they might have been stored away for quite some time before reaching you. This has been mentioned before and will be reiterated here. Civilian MREs can be purchased from manufacturers such as Wornick and AmeriQual. These reliable vendors will provide you with a premium quality product and in case of damage to the package or contents within it, you may contact them for a refund or exchange. This purchase flexibility is not available with military MREs, which may not even be sold via reliable channels and auctions. With military MREs, you could be risking your investment, but this is not true with civilian MREs. Based on your preference for the different reasons mentioned here, you can purchase military or civilian MRE. However, if you wish to ensure value for money, a civilian MRE is what you need. With prime quality and exceptional taste, these ready-to-eat meals can satiate your taste buds better than military-grade MREs. Civilian MREs are also free from doubt, thereby allowing you peace of mind with your purchase. However, if you are really out looking for a cheap alternative, go for single meals in the civilian MRE category rather than choosing full meal packages. They are friendly on the wallet and you will also get to know what they taste like. The shelf life of an MRE is a highly popular concept people wonder about. Before delving into what the shelf life of an MRE is, let’s first look at what an MRE is. MREs are ready-to-eat foods that come handy in emergencies and can be crucial for survival. The term MRE stands for ‘meal, ready to eat.’ One MRE is one complete meal. An MRE consists of an entrée, some other food items and a drink. It comes enclosed in a case. One case can contain up to 12 MREs. MREs are an operational food for the US military. The whole meal can be eaten without the need to cook. The idea gained popularity after World War II and has been used ever since. When going into the battlefield, the idea of carrying conventional food items along seems a bit sluggish. 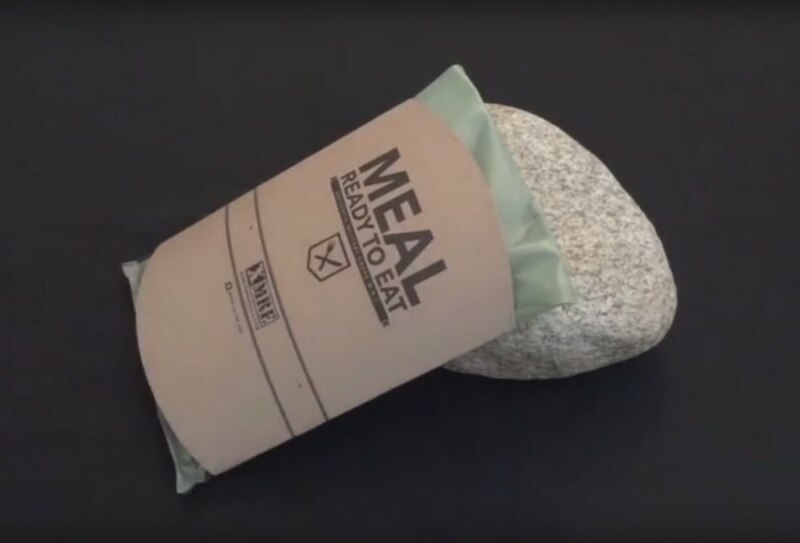 Since an MRE is a completely cooked and packaged food, it can be eaten right away, although a flameless ration heater (FRH) is provided in many cases so that an individual can have a hot meal when needed. During combat, cooking a hot meal and savoring it there and then seems like a distant dream, so these ready-to-eat meals come with the FRH to make this dream a reality. The packaging of the MRE is designed in such a way that it’s able to resist any environmental hazards and exposure to tough conditions, making it perfect for the military. Furthermore, the packaging can survive a parachute drop of more than 12,000 feet, keeping the MRE edible. This ready-to-eat food comes in a variety of flavors, including vegetarian. Here are some of the contents that are typically included in an MRE. While MREs are typically common in the military, they have also been used in case of natural disasters. During hurricanes and earthquakes, MREs have been supplied to the public many a times. Since these ready-to-eat meals can sustain any drastic environmental changes, they come in handy during calamities. In the earlier times, MREs were rejected by service members due to their low nutritional content, but the military has since then revised the contents of the ready-to-eat meals, inculcating heathier, more nutritional alternatives. The MRE bag is called the trilaminate retort pouch. It is, in fact, a can that’s flexible and made of aluminum and has several plastic layers. Preserving food through canning has been an extensively used and widely popular idea through the years. The concept behind canning food, may it be in pouches or steel cans, is quite elementary. The food is boiled in the can so that all the bacteria can be killed, and sealing it prevents any new bacteria from entering. As the food is completely sealed and has been sterilized, there are very few chances of it getting spoiled. Once the can is opened, the bacteria can make its way in and attack the food. That is why there is a need to refrigerate the food, as you can read on the label of numerous food products. In general, we think of cans as being made up of metal, but any container that is sealable can be substituted for a can. The contents of an MRE are packed in a sealable pouch. This pouch has varied advantages over a can. For example, it is lighter in weight and due to its flexible body, it can resist any wreckage in the battlefield. The pouch is also flat, which makes it easier to carry around or keep in the pocket. Due to its compact size, heating the contents of the MRE is an easy task. In the recent years, more attention is being given to the nutritional aspect of the content, keeping in view the link between an individual’s age, background and lifestyle. The shelf life of an MRE has always been a major concern for the armed forces. The rations were tested time and again, and a whole lot of research was done on how to keep the food edible for a long period given the rough military conditions. MRE pouches were designed keeping in view the requirements are much different than for the average commercial food. The concept was to keep them safe and able to handle detrimental situations. Therefore, MREs were exposed to different abuse tests like obstacle transversal. While keeping the food inside the pockets of their field clothing, military officers were asked to do some tough physical activities. A drop test from a parachute was also done, and the MRE was kept under extreme temperatures. After all this research, the MRE pouch was designed. This pouch has been considerably altered over the years. Beginning from World War II to date, the bag has undergone many changes. The research to improve MRE packaging is still going on. The army is devising ways to keep the pouches non-foil so that the weight of the MREs could be further reduced. An added benefit would be an airtight barrier to keep the food fresh for a long time. Why is there a need for this? Although MRE bags are able to keep out moisture and air, this does not guarantee a lasting, airtight barrier. This could later result in air seeping in through the spaces present. The concept behind the designing and packaging of MRE was to keep the food edible for as long as possible. The adverse conditions during a mission or combat cannot allow normal food to last long or remain edible enough. Therefore, MRE pouches are designed keeping all these factors in mind. The MRE food is packed in pouches with triple layers of aluminum/plastic which can better withstand the rough military condition than normal cans. The food contained in them is first cooked at a high temperature to sterilize and make it stable for use at room temperature. Just as normal canned food has a shelf life, MREs also have a limited shelf life depending on the storage temperature. Under favorable conditions, an MRE can last up to 5 to 7 years. Researchers have tested the life of an MRE lots of times. MREs that were almost 10 to 15 years old were found to have good taste minus the discoloration and appearance. Also, these foods were found to have high nutritional content. If you’re curious as a civilian to know more about the shelf life, the two things that should be the determining factors are manufacturing date and storage conditions. The storage condition has a direct relation with the life of an MRE. The US military checks MRE packages after 3 years to check for longevity and throws them out after 5 years from the date of manufacture. The 5-year shelf life is only applicable if the MRE has been stored at room temperature. According to military specifications, the MRE should be able to sustain extreme temperatures for a small duration of time, whether it’s freezingly cold or extremely hot. Keeping MREs in the refrigerator can greatly increase their shelf life, but it’s not specified for how long. Sellers of MREs claim that they can last up to 11 years if stored at a temperate of 16 degrees Celsius or 60 degrees Fahrenheit in the fridge. MREs have a lot of preservatives and a high fat content. The reason why there’s so much fat is that it serves as a natural preservative and contains a lot of calories, which is essential for all the physical activities required in the military. Similarly, the sodium present in the preservatives can be sweated out through running, exercising and other physical activities. The main purpose of an MRE is convenience, and it serves that purpose fully. The taste is yet another thing to talk about when it comes to ready-to-eat meals. The taste of the MRE will be dependent on the life of an MRE. As previously mentioned, it is obvious that there’s a direction relation between the storage temperature and the MRE shelf life. Hence, the shorter the life of the MRE, the higher chances that food will taste better as the food will tend to go bad the longer it is kept in storage. The packaging of an MRE can tell you a great deal about what day it was packed and the year of production. Each bag is coded with a number series. These numbers contain the production date of the MRE. These include the year and day it was produced. Hence, you can easily know if a certain MRE is good to eat. Refrigerating the MRE would increase its shelf life, but regular refrigeration can result in the stretching of the pouch, which may spoil the meal. Although these packages are designed to sustain adverse conditions, continuous refrigeration can affect the layers of the pouch, hence spoiling the meal. The concept of an MRE came after the C-rations and K-rations that were used by military personnel in field missions and training. This article will discuss how the system of rations was initiated during the 1900s and how the various rations developed into the now popular ready-to-eat packaged meal commonly known as the MRE. This ration was made up of packaged food that military personnel or soldiers had to carry with them and consume during times when regular food was unavailable or there had been some shortage. This packaged food was equipped with a complete food supply for one individual to be consumed in a day’s time period. The main food components provided as part of the reserve ration consisted of corned beef, hard bread, sugar, ground coffee, and salt. This one-day meal contained a total of 3300 calories and was secured in cans. This particular ration was introduced for trench warfare conditions. Each unit ensured adequate canned food for as many as 25 men during the day. The food packaged in these cans had roast beef, corned beef, salmon, sardines and hard bread. Other than these, essentials such as coffee, salt, and sugar were also provided. The food had been packaged such that it could be safeguarded from poisonous gas. Despite allowing a wider diet than reserve ration, this food supply was low on nutrition and invited contamination due to the unsealed containers. This iron ration contained food which was to be consumed only during emergencies. These emergencies were mainly desperate times when no other food source was available to sustain life. The food in this ration included a beef and wheat mixture and chocolate bars. 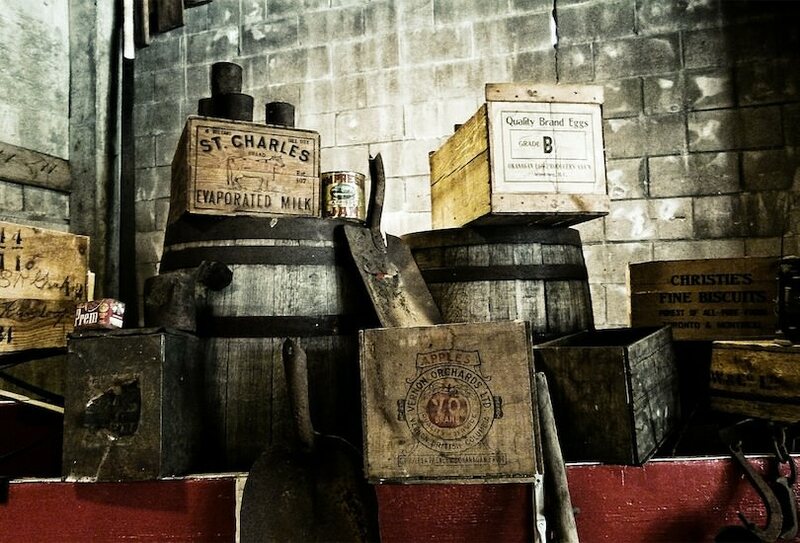 The cans were carried by soldiers in their pockets to be consumed only when necessary. Two special purpose rations were developed during World War II that came to be known as C-ration and D-ration. The D-ration consisted of food items such as sugar, chocolate, dry milk, oat flour, cacao fat, and flavoring. A standard D-ration bar provided as much as 600 calories to any one soldier. This ration was widely misused and was later replaced with C- and K-ration, which have been discussed below. Similar to the reserve ration of World War I, this ration consisted mostly of meat and bread components, all of which were missing in the D-ration introduced earlier. The meat provided as part of the C-ration of 1938 was problematic; the menu was monotonous as there were the same hash and meat combinations provided with different names. The lack of variety led to denunciation of this ration back in the day. Other drawbacks of this type of food ration consisted of the hassle of carrying food and numerous production issues associated with it. This ration was introduced as an easy-to-carry food unit during assault and combat missions. It was also prepared to ensure a fully nutritional meal for soldiers while they were out facing the enemy. The K-ration was a three-meal combination that featured canned veal loaf, malted milk tablets, and instant coffee for breakfast and dextrose tablets, ham spread and bouillon cubes for dinner. The lunch comprised of D-ration chocolate, sausage, lemon powder and sugar. This ration was prepared to keep the troops satisfied for a period of two to three days. Despite its popularity, the K-ration lost value with other development in food rationings such as the mountain ration and its many successors. Another significant development before the MRE with regard to military food rations was MCI. After the failure of C-ration, ‘Meal, Combat, Individual (MCI)’ ration replaced it in 1958 as the military’s primary combat ration. This ration was different from its previous counterparts in that it laid emphasis on ensuring nutritionally balanced meal for all soldiers. Rationing had been the secondary objective of MCI with a primary focus on providing fulfilling meals, enriched with sufficient nutrients, minerals, and vitamins. The MCI could be used as individual meals or in multiples of three as per one’s choice. The MCI consisted of 12 menus, each one unique and combined with canned meat, canned fruit, bread and a dessert option. Moreover, cigarettes, matches, chewing gum, toilet paper, coffee, cream, sugar, salt, spoons and can openers were provided as miscellaneous items with each meal. MCIs were extensively used in Vietnam during World War II and contained as many as 1200 calories in each meal. It was a replacement for C-ration with added variety and greater emphasis on nutrition than rationing. This new concept was adopted by the Department of Defense in 1975, but it was not until 1981 that it started being delivered to the troops. During 1983, a field evaluation took place where the troops were provided MREs thrice a day. During this time, consumption remained low, but consumption and acceptance rates were improved over time. MREs have focused mainly on portability and nutrition, the two attributes that led to the demise of all the previous food rations. The packaging of MRE makes it easy to use and lightweight to ensure portability. Additionally, the long shelf life of an MRE makes it suitable to carry around for long missions. A military MRE is not available for commercial sale or use by the general public. The US Government has introduced unique labels to ensure this. However, there are some available on eBay in case you want to get your hands on one of these operational food rations. Alternatively, civilian MREs have been manufactured by famous names such as AmeriQual, Sopakco, and Wornick. These MREs are available for consumption by the general public. If you are looking to purchase a premium quality MRE without undergoing scrutiny, choose from a civilian MRE meal and satiate your taste buds! Based on the various evaluations and filed testing, changes have been made to traditional MREs. These changes include adding and deleting entrees, expanding the menus, adding commercial candy and coffee to the menu and widening the dessert options. In 1992, the consumption of MREs was increased owing to the introduction of Flameless Ration Heater (FRH) that was provided with MREs to heat food prior to consumption. This made it all the more easy for soldiers to enjoy a hot meal on the field. During Operation Desert Storm, MREs had to be consumed for longer than 10 days, so the shelf-stable bread was introduced in the meal. High-heat stable chocolate was also developed and introduced as part of the MRE meal. Before 1996, the MRE menu had a total of 12 options only. These were expanded to 24 by the year 1998 to overcome monotony. This had been a gradual increase, not a straight jump from 12 to 24. With an increase in variety, vegetarian meals were also included as part of the MRE menu. You can now choose from 4 different vegetarian meals if you are not a fan of meat. In 1981, the original pouch was introduced. In 1988, menu numbers were added to the sides on the MRE pouch. In 1995, the pouch took on a dark brown color. In 1996, bags were changed from dark brown to a tan color with different font styles and graphics. In 2001, the US Government introduced labels claiming that military MREs were their sole property and commercial resale had been prohibited. In 2003, a new label was added to these pouches regarding FRH’s use on commercial airlines. In 2008, new graphics were introduced for these bags. The MRE improvement process is still an ongoing phenomenon with changes being devised to menu, packaging, and storage. The Continuous Product Improvement (CPI) program works day in and day out to identify changes that are deemed necessary for these MREs based on field testing and evaluations. The CPI works closely with soldiers, the actual target market to understand what’s missing and what’s redundant in the MRE package. This is precisely how major changes such as the introduction of FRH and powdered beverages have been made. A niche is identified, and CPI ensures that it is sufficiently tapped with each new batch of MRE. MRE is an abbreviation for ‘Meal, Ready-to-Eat,’ which is basically a packaged meal. However, an MRE should not be confused with the ordinary ready-to-eat packaged foods that you can buy from Walmart. It serves an entirely different target market, which is the military personnel or the US Armed Forces to be specific. These MREs came into being in 1981, while the actual idea was coined and adopted by the Department of Defense in 1975. The C-rations and K-rations that were developed during World War II were further polished with the advent of MCI (Meal, Combat, Individual) rations in the wars that followed. MREs came later and were deployed as the primary combat ration for the US military during the 1980s. The US military has plenty of on-base dining options with its very own base kitchen and cooks, restaurants and camp kitchens. However, military officers that have been deployed on field missions do not have much time to prepare and serve food and clean up afterward. This is where the MRE comes in; it’s easy to serve, it requires no preparation and its disposal is simple. 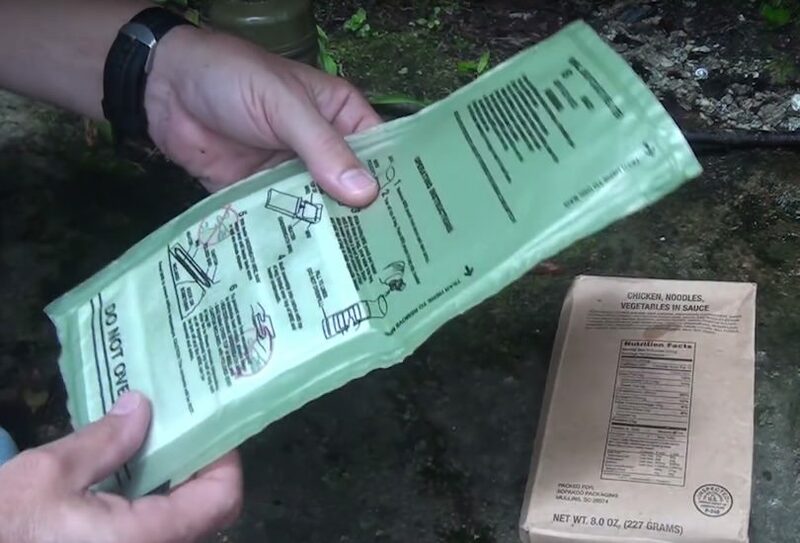 The packaging of an MRE is such that it does not require pre-heating before it is served. This meal is nutritionally balanced, comes in a variety of flavors and has a reasonably long shelf life. The packaging for Meal, Ready-to-Eat (MRE) is commonly known as a tri-laminate retort pouch, which is made from aluminum foil and plastic material. This pouch packaging ensures food preservation and comes equipped with a Flameless Ration Heater (FRH) which may be used to heat food immediately before consumption. The pouch is made from a lightweight material, making it easy to carry while on a mission. It is flexible and can handle rough conditions in the field. The pouch is flat which makes it easy to store within bags, unlike cans that take up a lot of space. Unlike cans, these pouches do not require refrigeration to keep the food fresh in terms of taste and texture. Canned foods have to be boiled to keep sterile, while MREs may be consumed without pre-heating. As far as the sterilization part is concerned, the MRE pouch is filled, sealed and boiled while it is being processed in the factory. The pouch or bag that MRE is packaged in has been changing since its inception, but the color preference has somewhat remained static with a tan brownish tone. The packaging has come across several changes in terms of font, graphics and labels and slight color variations within the brown tone. The latest design change was made in 2008 when new graphic designs were introduced for these MRE bags. As previously mentioned, each pouch comes equipped with a Flameless Ration Heater (FRH) too in case you want to heat up the main dish. Side dish options include corn, rice, fruit or mashed potatoes. The different types of spread comprise of peanut butter, jelly and cheese. Dessert includes cookies and cakes, and candy bars consist of M&Ms, Skittles or Tootsie Rolls. Beverage options include cocoa, dairy shakes, coffee or tea. All of this makes for quite a well-balanced meal, served three times daily. The MRE menu has undergone several changes over the past few years, and there are now 24 menus and 4 vegetarian meals to choose from. The most recent menu MRE XXXVI (2016) has these 24 options. Before 1996, these menu listings had only 12 menus with a few chickens, pork, ham and tuna options, but the variety has increased with time and so has the taste. The shelf life of an MRE is dependent on two main factors: how long is it stored and at what temperature. At 49 degrees Celsius, you may store an MRE for at least 1 month, while these pre-packaged ready-to-eat meals can last up to 5 years at a temperature of 10 degrees Celsius. The shelf life of an MRE is inversely related to temperature; at higher temperatures, the shelf life is low and vice versa. Thus, if you aim to keep the food edible for long periods, store an MRE in low temperatures, preferably 10 degrees Celsius. Each MRE pouch comes with a time temperature indicator (TTI) indicating the freshness of the food. As long as the inner circle has a lighter tone than the outer circle on this indicator, the food is good to eat. When both circles merge into a single color, your food has gone bad and it must, therefore, not be consumed. Having said all this, MREs have been manufactured to have a shelf life of 3 years with temperature requirement exceeding no more than 26.6 degrees Celsius. This is on an average basis because spreads tend to go bad sooner than ham and pork when kept in higher than moderate temperatures. This lifespan average applies to an entire MRE pouch. MREs are not sold to the general public. These ready-to-eat meals are prepared and packaged for military personnel only. Hence, these MREs are shipped with a label stating that these belong to the US government to prevent commercial resale. Contact an active military officer as these people have access to MREs during training and field missions. Expensive MREs are sold in army surplus stores for as much as $8 for one MRE pouch. Local gun shows sell MREs too for a reasonable price. eBay sells a huge range of MREs for a reasonable price. If you are looking for military MREs, avoid paying a hefty price for fake MREs that are usually sold under the military manufactured labels. Civilian MREs are different from military MREs. Civilian MREs ensure premium quality in taste, texture and consistency. This is not true for military MREs that may have been transported all the way from high-temperature areas or could have survived harsh weather conditions on their way. A military MRE has to be purchased illegally through the different options mentioned above. However, civilian MRE comes from reliable manufacturers that may be contacted if something goes wrong with the package and its contents. With civilian MRE, you are not putting your money at risk, unlike in the case of military MREs. Thus, these are two reasons why you might end up paying a few dollars extra to get your hands on a civilian MRE from one of these trusted brands. Now that you know what an MRE is and other essential information about it, you can choose to try either military or civilian MRE and explore the taste, texture and different options available in this ready-to-eat packaged all-in-one meal. It’s things like MRE that have made life on battlefields and military training easy, healthy and fun. Food is probably the most fundamental motivation one has when they are a thousand kilometers away from home.